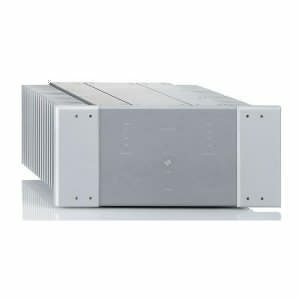 The Verdi Settanta REV2.0 Integrated Amplifier represents an accomplished expression of Audio Analogue’s new strategy aimed at giving users the best quality yet taking into the due account their budget. Every operative feature and performance of the Verdi Settanta is optimized to maximize the customer’s satisfaction, sound quality, manufacturing and assembly perfection, look & style and performances, together with the famous family look and ease of use common to all Audio Analogue products. The user perceives a very high class: great contents, superb sound and long-lasting with no wearouts or performance detriment. The new, totally remote-controlled hybrid circuit delivers crystal-clear power up to 70W per channel on 8 Ohm, with dynamic headroom sufficient to satisfy the requirements of every speaker in the same price range and beyond. Tha power stage is made around the now usual LM3886T power packs (same as those used on the famous Jeff Rowland amplifier, Concentra): they are BJT integrated power devices able to deliver currents up to 12A and perfectly protected agains overloads and overheat. Tha “smart” protections used in these deviced allow for, in normal operation conditions, the deliver of huge power without limiting the dynamics of the output signal. The hybrid preamplifier circuit is made using a 6922 double triode per channel as gain stage and balancer, to drive the power stage in balanced mode. 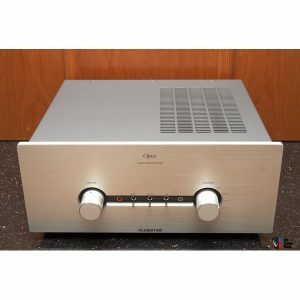 It operates a perfect interface between the integrated bufferless resistor network potentiomenter and the power amp’s input, contributing to the balanced yet vivid and crisp sound of the amplifier. Solid state input selectors allow for indefinite best quality performance (no sound detriment due to metallic contacts ageing and wear-out). The MM/MC phono stage allows for the use of avery cartridge with more than 0,2mV output voltage. Few amplifiers in this price range have this feature. The remote control also allows users to control the “companion” CD player Rossini, as well as the Primo CD player, the Primo Tuner VT and the “companion” tuner of the Verdi SETTANTA REV2.0 when available. 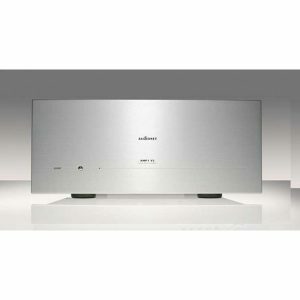 Of course, all the main features of the amplifiers can be used by the front panel’s controls. Érdekli analóg és digitális high end rendszerek tökéletes összecsiszolása vagy modellválasztási tanácsadás?